When it comes to men, Sophie Franklyn has sworn off them after her fiancée turned out to be the typical cheating cliché. 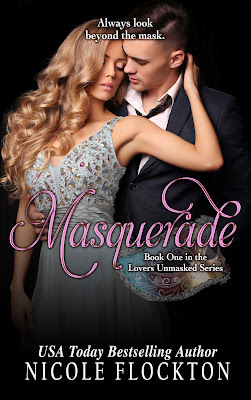 Vowing to only look forward and not behind, she attends a Masquerade Ball with no expectations. That is, until a mysterious masked man sits beside her. Attraction ignites, and, setting her inhibitions aside, she embarks on one night of passion. Alex Scavoni has sacrificed a lot to be the best ER doctor he can be. Now he’s about to start his dream job as the Registrar of the ER Department and getting involved in a relationship is the last thing on his mind. 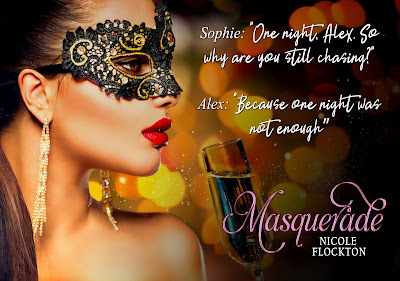 When he meets a masked Sophie, he knows he has to have her, and he won’t take no for an answer. Fate plays her hand and Sophie and Alex find themselves working closely together in the stressful world of emergency medicine. Determined to keep their passionate interlude a secret they attempt to maintain a working relationship. Only they find that their one night together isn’t enough. Can they push aside their growing feelings or will fate have one more card to play that will change their lives forever? Everyone Dawn Granger has ever loved has left her. Locking herself away from the world is the only way she knows how to cope with life. Working the nightshift is her excuse for not getting involved with anyone ever again and it keeps her heart safe from the inevitable heartbreak that loving someone can cause. She’s happy with her life until the night her former lover bursts back into her life. A near fatal sailing accident has competitive sailor Andrew Holmes re-evaluating his life and occupation. Now a paramedic the last thing he expects to see on the job is his high school sweetheart, Dawn. He’s never forgotten her, or the way she made him feel. With one look, the old feelings he had for her come flaring back to life. But there is sorrow permeating her soul and he can’t help but wonder if his thoughtless actions contributed to her unhappiness. He sets about rescuing Dawn from her darkness and bringing her back into the light. Phoebe Fitzgerald is weeks away from getting married when her ex turns up and declares his everlasting love for her. Confused and wondering if she’s mixing up lust with love, she cancels her wedding to handsome architect Marco Petronelli. When Phoebe breaks off their engagement, Marco is forced to admit his emotions go far deeper and he will do anything to make her realize they are meant for each other. Marco puts his vulnerabilities and heart on the line for her. Will she take his offering or will she reject him? And will Phoebe realize that sometimes the best thing in life is standing right in front of her. On her first school report her teacher noted "Nicole likes to tell her own stories". 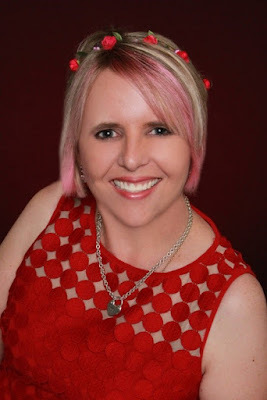 It wasn't until after the birth of her first child and after having fun on a romance community forum that she finally decided to take the plunge and write a book. Apart from writing Nicole is busy looking after her very own hero – her wonderfully supportive husband, and two fabulous kids. She also enjoys watching sports and, of course, reading.